You’ve probably heard it before…”You are what you eat”— and it’s true … but what’s also true is: “You are how you move”. In other words your feeding and movement impact on your physical appearance. Not only do we need to eat right and exercise, we need to add more non-exercise activity time to our day. On top of that we should consciously try to move more of our body parts while performing any movement because it’s all connected. Every little move we make affects not just our weight but our mobility and more. Let’s consider how much time the average person spends sitting? You sit at the table at breakfast, you sit in the car and drive to work, (if you have a desk job) you sit at work, you sit down to lunch and then sit in the car on the way home. At home you sit at the dinner table, After which you maybe sit or lie down to watch a show before you go to bed to sleep for 7-8 hours and start the cycle all over again the next day. As you can see a significant amount of your day is filled with inactivity. Even if you worked out for 1-2 hours it will form less than 20% of you movement time. Understand that “movement” does not equal “exercise” and vise versa. So whats the solution? Fill your day with movement snacks! Find a way to create dynamic movement throughout the day by constantly varying your position. Even when sitting, try to vary your sitting positions or even try sitting better …Your body alignment matters. 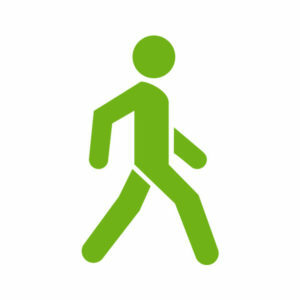 Set a reminder to go off every hour and take a few minutes to walk, stand or change positions. Stand more, fidget more, move more…The more you move, the more you lose and the better for your mobility!